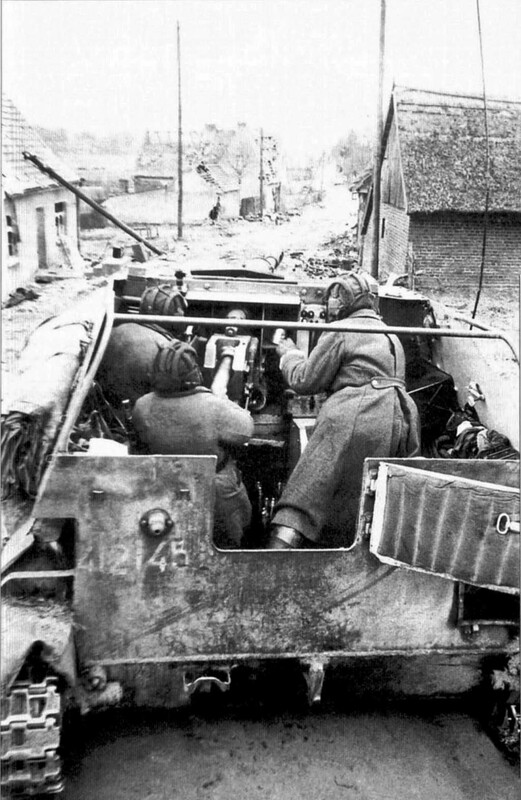 The crew of the self-propelled gun SU-76 under the command of Alexei Lalak is firing in the village of the province of Brandenburg. Germany, the 1 st Belorussian Front. Guard Senior Lieutenant Alexei Romanovich Lalak, Ukrainian. Born in 1920. Commander SU-76 self-propelled gun from the 1729th self-propelled artillery regiment. He was awarded the Order of the Patriotic War of the 2nd degree.